Halmyre Urr Floralin 144 secured Halmyre’s first ever interbreed title at the Royal Highland Show after she won the Ayrshire championship under Maggie Howie. 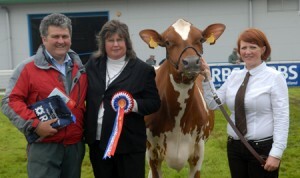 Interbreed judge Richard Baynes tapped her forward to take the overall dairy interbreed. 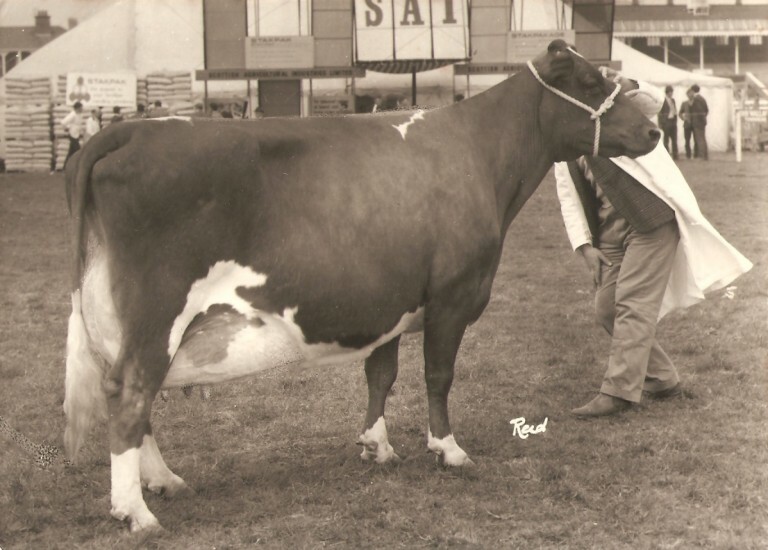 Sired by Howie’s Inimitable this third calver stood reserve champion at the Highland and champion at Ayr 2011. 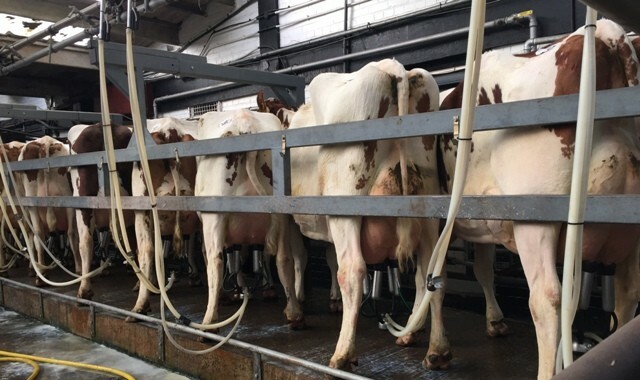 She calved in March 2012 and gave 7954kg at 4.92%bf 3.22%p in her second lactation. We sold three second calvers this month at Carlisle’s weekly commercial sale to average £1653.33. 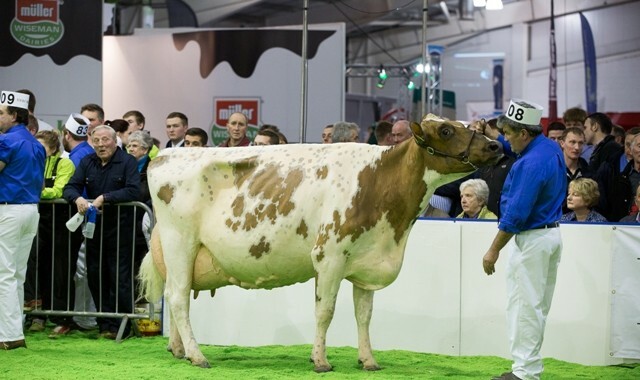 Two of them traded at £1780, Halmyre Urr Liza 10, a Halmyre Urr Pinsent daughter out of a Stelbro Radius sired dam and Halmyre Urr Etta 336, by Howie’s Stelth.